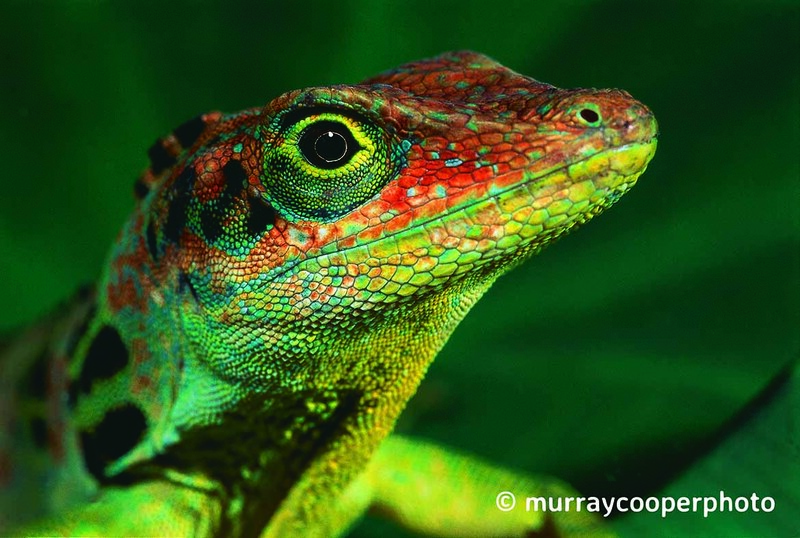 Despite its tiny size, Ecuador is one of the world's biodiversity hotspots, with more vertebrate and endemic plant species than the entire United States and Northern Europe combined. This mega-diverse nation also contains some of the world's most endangered forests. The incredibly species rich, north western cloud forests of Ecuador have experienced around 95% deforestation — only fragments of previous habitats remain. 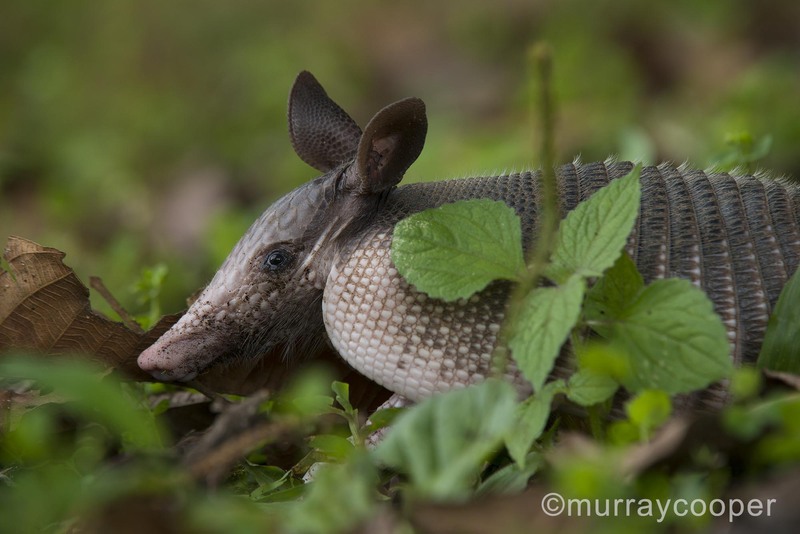 Many species unique to the region (endemics) are under threat of extinction and many more remain unknown to science. 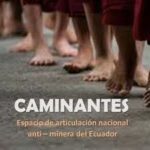 In spite of its global significance as one of the world's most biodiverse countries, around 14% of its total land area has been secretly sold to multinational mining companies by the Ecuadorean government. Many of these mining concessions overlap protected forests and indigenous reserves. WHAT IS THE RAINFOREST ACTION GROUP? The Rainforest Action Group (Melbourne) undertakes research, education, advocacy work, and non-violent direct action to halt the massive expansion of mining in Ecuador. We are committed to securing the earth's ecological future and a sustainable and equitable society through supporting indigenous self-determination and alliances between indigenous organisations in Australia and abroad. Our current campaign focus is halting the massive expansion of mining, oil and gas production in Ecuador. In addition, MRAG also examines the role of governments and their various trade agencies, and international institutions like the World Bank, in facilitating the wanton destruction of rainforests across the globe. We are committed to a process of decolonization and peaceful coexistence between Indigenous and non-indigenous peoples, communities and nations through creative co-resistance to colonialism and its manifestations of patriarchy, capitalism, racism, heterosexism, ableism, western privilege and corporate hegemony. 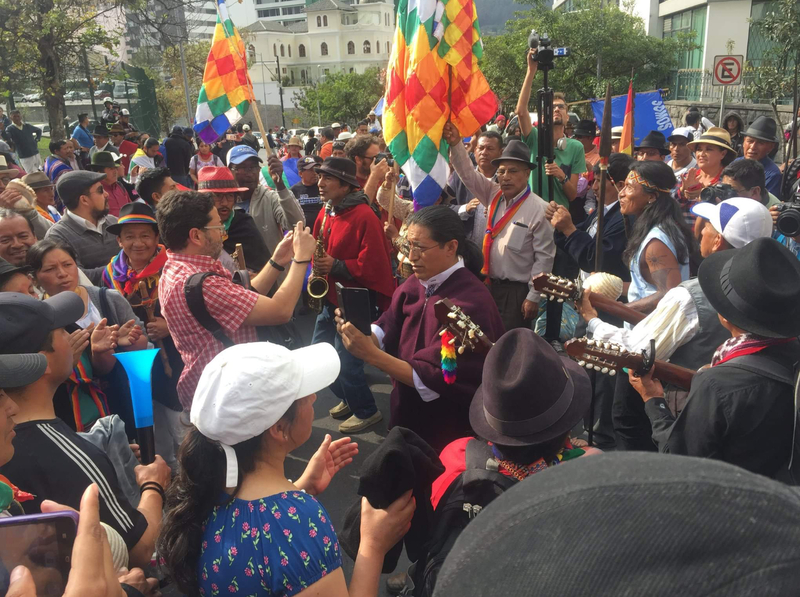 The Rainforest Action Group actively supports the Caminantes Collective - a collective of thousands of Ecuadorians representing the entire nation and the Indigenous and Campesino communities that form its soul. 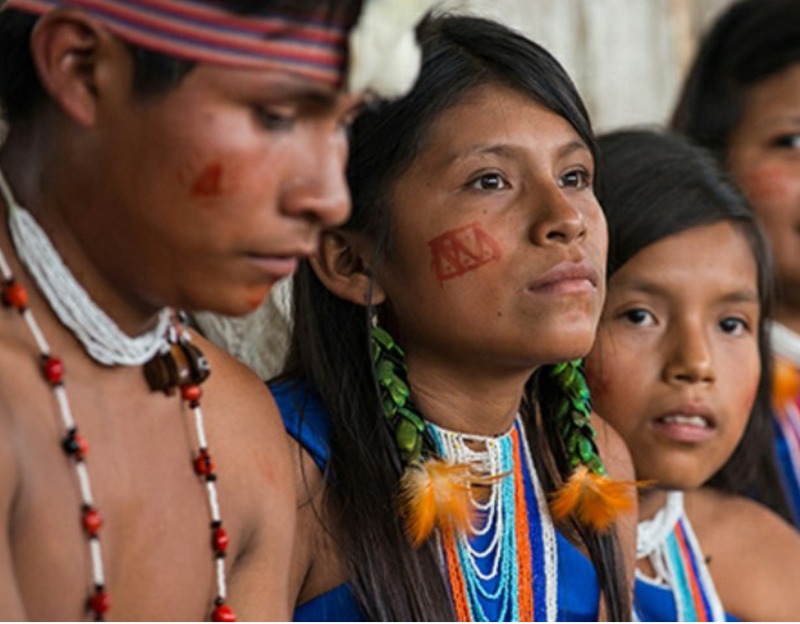 The Caminantes Collective includes OSMASNE, DECOIN, CEDHU, ECUARUNARI, CONAIE, CASCOMI and many more tribal confederations, Campesinos and environment groups.